How reliable is resting state fMRI? Arguably, no advance has revolutionized neuroscience as much as the invention of functional magnetic resonance imaging (fMRI). Since its appearance in the early 1990’s, its popularity has surged; a PubMed search returns nearly 30,000 publications with the term “fMRI” since its first mention in 1993, including 4,404 last year alone. Still today, fMRI stands as one of the best available methods to noninvasively image activity in the living brain with exceptional spatiotemporal resolution. But the quality of any research tool depends foremost on its ability to produce results in a predictable and reasonable way. Despite its widespread use, and general acceptance its efficacy and power, neuroscientists have had to interpret fMRI results with a large dose of partially-blind faith, given our incomplete grasp of its physiological origins and reliability. In a monumental step towards validation of fMRI, in their new PLOS One study Ann Choe and colleagues evaluated the reproducibility of resting-state fMRI in weekly scans of the same individual over the course of 3.5 years. Although previous studies have reported high reproducibility of fMRI outcomes within individuals, they’ve compared only few sessions over brief periods of weeks to months. Dr. Choe and her team instead set out to thoroughly characterize resting state brain activity at an unprecedented time scale. To track patterns of the fMRI signal, one dedicated 40 year-old male offered his brain for regular resting-state fMRI sessions. Over the course of 185 weeks, he participated in 158 scans, roughly occurring on the same day of the week and time of day. For comparison – just in case this particular individual’s brain was not representative of the general population – a group of 20 other participants (22-61 years old) from a prior study were used as reference. The basic signal underlying fMRI is the blood oxygen level dependent (BOLD) response, a measure of changes in blood flow and oxygenation thought to reflect vascular and metabolic responses to neural activity. The magnitudes of BOLD fluctuations were similar both across the single subject’s scans and the group’s scans, although these fluctuations were generally more reliable within-subject. Similar to the spatial overlap between networks, BOLD signal in executive networks was most reproducible, while that in default mode and sensorimotor networks were least reproducible across the subject’s sessions. In the brain, no network is an island, but rather, is in constant communication with other regions, near and far. This functional connectivity can be assessed with fMRI by computing correlations in the signal between areas. As might be expected, connectivity was highest between networks involved in related functions, for example between sensorimotor and auditory networks, and between sensorimotor and visual networks. Connectivity between networks was similar in the single subject and multi-subject datasets, and was highly reproducible both across the single subject’s sessions and within the multi-subject dataset. Choe AS, Belegu V, Yoshida S, Joet al (2013). Extensive neurological recovery from a complete spinal cord injury: a case report and hypothesis on the role of cortical plasticity. Front Hum Neurosci 7, 290. When you see a red blob on an fMRI activity map, what do you think? We all know fMRI doesn’t directly measure neural activity, yet an increased BOLD (blood oxygen level dependent) response is commonly used as a proxy for elevated “brain activity”. This interpretation is, in fact, strongly supported by studies identifying a relationship between the BOLD response and underlying neural activity. In particular, this signal correlates most strongly with the LFP (local field potential), suggesting that synaptic potentials – rather than spiking – primarily drive the BOLD signal 1. But what about those blue blobs on that brain map? What exactly does a negative BOLD response represent? Do BOLD signal increases and decreases respectively represent neural activation and deactivation, as we often presume? Neuroscientists know the story isn’t that simple, yet still, we often construct our interpretations according to such idyllic principles. In fMRI 101 we learned that the BOLD response results from changes in the relative amounts of oxygenated and deoxygenated hemoglobin, which – because of their distinct magnetic properties – are respectively associated with BOLD signal increases and decreases. When a brain region becomes active and requires energy, oxygen metabolism (CMRO2) increases, reducing blood oxygenation levels. A coincident increase in cerebral blood flow (CBF) partially counteracts this by delivering more oxygenated blood to the area. Since the BOLD signal increases with higher blood oxygenation, the direction of the BOLD response depends on the relative change in CBF and CMRO2. Since the increase in oxygenated blood flow typically exceeds that of oxygen metabolism, elevated neural activity (usually) leads to a positive BOLD response. So if a positive fMRI activation reflects increased blood blow and metabolism, negative activity should reflect the opposite … right? One oft-overlooked feature of this mechanism is that the coupling between blood flow and metabolism varies across brain regions. Across the cortex, the coupling ratio between CBF and CMRO2 is heterogeneous but generally high, on the order of 2 to 4.5 2,3, generating a reliably positive BOLD signal with activation. But recent studies have shown that other regions have lower coupling ratios. Of particular concern is the hippocampus, with an estimated coupling ratio of 1.7 4. One possible reason for this discrepancy is the remarkably poor vascular supply to the hippocampus compared to the surrounding cortex 5. Thus, hippocampal activation would result in a notably reduced BOLD response compared to a cortical activation. As this CBF:CMRO2 coupling ratio flirts dangerously with unity, it raises concern that in certain situations it might dip to or below one, resulting in no change, or even a negative BOLD response, following neural activation. Indeed, upon stimulating neural activity (by inducing seizures) in rats, researchers observed a positive BOLD signal in the cortex, but a negative signal in the hippocampus 6. What’s a hippocampal imager to do? So what does all this mean for us foolish – I mean, unfortunate – cognitive neuroscientists using fMRI to study the hippocampus? For one, we face vastly greater challenges to interpreting our data than our lucky cortical colleagues. When the hippocampus activates, we can be relatively confident that blood flow and metabolism (and presumably, underlying neural activity) are concurrently elevated. But a deactivated hippocampus is an ambiguous hippocampus. A negative BOLD response could theoretically indicate an underlying decrease or increase in both or either parameters. Let’s explore three alternative scenarios which could theoretically engender a negative hippocampal BOLD signal. 1. ↓ CBF, ↓ CMRO2. The most intuitive explanation is that neural activity declines, reducing both blood flow and oxygen metabolism within the region. This scenario is certainly feasible if the hippocampus maintains a certain level of tonic activity and a given condition actively suppresses it below baseline. 2. ↓ CBF, = CMRO2. Since the ratio of CBF to CMRO2 is the key determinant of the BOLD response, a change in oxygen metabolism is not requisite for a negative BOLD signal if blood flow alone declines. Such is the premise for the “vascular steal” hypothesis, which posits that blood is diverted from less critical regions to those directly involved in the task at hand, regardless of any change in oxygen consumption. 3. ↑ CBF, ↑ CMRO2. While the former two scenarios imply reduced hippocampal recruitment, either metabolic or vascular, a final scenario entails the opposite: elevated blood flow and metabolism drive the negative BOLD. Because of the hippocampus’ problematic coupling ratio, if the metabolic increase exceeds the blood flow increase, this manifests as a negative response. To disambiguate these alternatives, we must think outside the blob and interpret our effects in light of integrated electrophysiology, lesion and cognitive psychology findings. Two examples from recent fMRI studies illustrate the aforementioned challenges as well as how alternative explanations best account for a task-induced hippocampal deactivation. Yet in other situations, negative hippocampal responses have been observed during conditions in which, based on lesion and electrophysiological studies, one might expect the hippocampus to activate. For instance, a recent study observed hippocampal deactivation during landmark-based spatial memory retrieval 11. In this case, as the authors propose, the task-induced deactivation just might reflect neural activation. Of course, we can’t simply choose a preferred explanation at whim that best supports our hypothesis. Au contraire, carefully considering the complicated nature of the hippocampal BOLD response might help expand our too-often blob-centric minds, and set a framework from some pretty awesome multi-modal hypothesis testing. Science isn’t supposed to be easy, but it can still be fun. Now, who else is eager to go crazy with some hippocampal calibrated fMRI and depth recordings? 1. Logothetis NK & Wandell BA. 2004. Interpreting the BOLD signal. Annu Rev Physiol 66:735-69. 2. Hoge RD et al. 1999. Linear coupling between cerebral blood flow and oxygen consumption in activated human cortex. Proc Natl Acad Sci U S A 96:9403-8. 3. Leontiev O et al. 2007. CBF/CMRO2 coupling measured with calibrated BOLD fMRI: sources of bias. Neuroimage. 36:1110-22. 4. Restom K et al. 2008. Calibrated fMRI in the medial temporal lobe during a memory-encoding task. Neuroimage. 40:1495-1502. 5. Borowsky IW & Collins RC. 1989. Metabolic anatomy of brain: a comparison of regional capillary density, glucose metabolism, and enzyme activities. J Comp Neurol. 288:401-13. 6. Schridde U et al. 2008. Negative BOLD with large increases in neuronal activity. Cereb Cortex. 18:1814-27. 7. Reas ET & Brewer JB. 2013a. Effortful retrieval reduces hippocampal activity and impairs incidental encoding. Hippocampus. 23:367-79. 8. Reas ET & Brewer JB. 2013b. Imbalance of incidental encoding across tasks: An explanation for non-memory-related hippocampal activations? J Exp Psych-Gen. 142:1171-9. 9. Reas ET et al. 2011. Search-related suppression of hippocampus and default network activity during associative memory retrieval. Front Hum Neurosci. 5:112. 10. Squire LR et al. 2004. 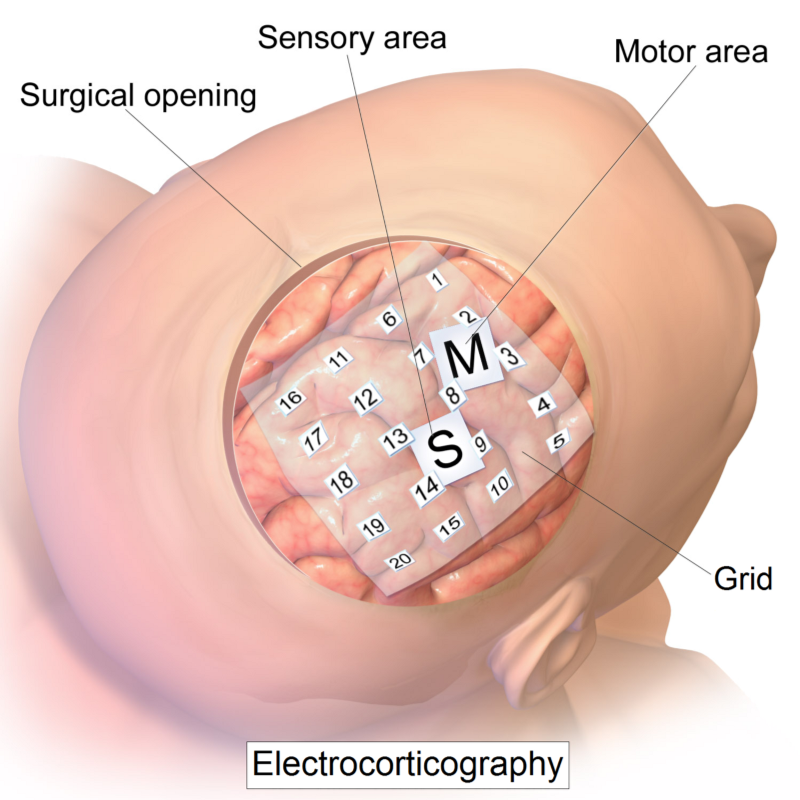 The medial temporal lobe. Annu Rev Neurosci. 27:279-306. 11. Nilsson J et al. 2013. Negative BOLD response in the hippocampus during short-term spatial memory retrieval. J Cogn Neurosci. 25:1358-71.